The simplest way to prevent stormwater pollution is to keep our pavement clean and redirect water away from stormdrains. 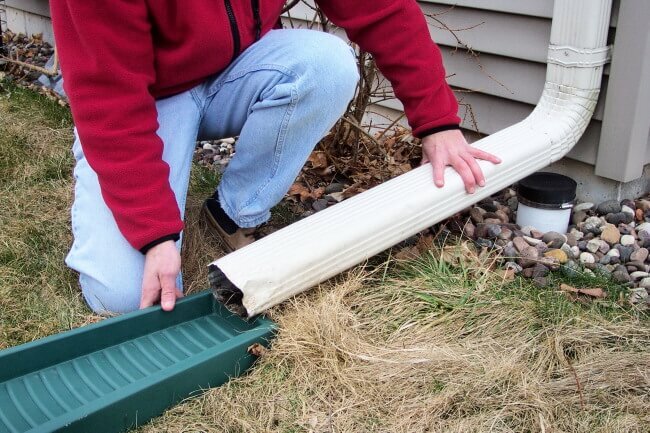 When rain falls on hard surfaces, it washes pollutants such as bacteria and parasites from pet waste, and chemicals from fertilizer, pesticides, herbicides, ice melt, motor oil, antifreeze, and windshield washer fluid directly into catch basins or storm drains. We call this dirty water polluted stormwater runoff. Polluted stormwater causes problems for local drinking water sources; recreational activities like swimming, boating and fishing; and aquatic life. Always pick up after your dog and throw dog waste into a trash can. Build a rain garden to treat runoff. Avoid spraying driveways, roads or sidewalks when irrigating. Use lawn chemicals and ice melt sparingly, use organic whenever possible, and always follow manufacturer’s directions. Pick up lawn clippings/leaf litter, especially if near storm drains, and bag (for town pickup) or compost. Use pervious hardscapes (like bricks or pavers) on patios, driveways, etc., to allow water to seep into the ground. Dispose of household chemicals properly. Check with your local DPW if you’re not sure about proper disposal. Wash your vehicle near the lawn so that the wash water runoff seeps into the ground and not down the driveway into a storm drain. Drain swimming pools/hot tub water into your lawn. Never down a storm drain.